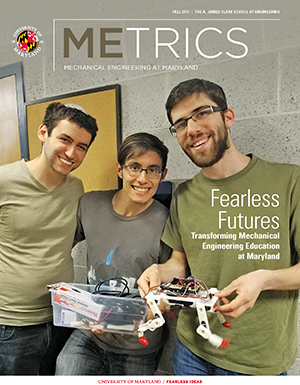 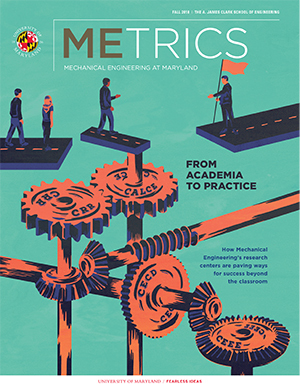 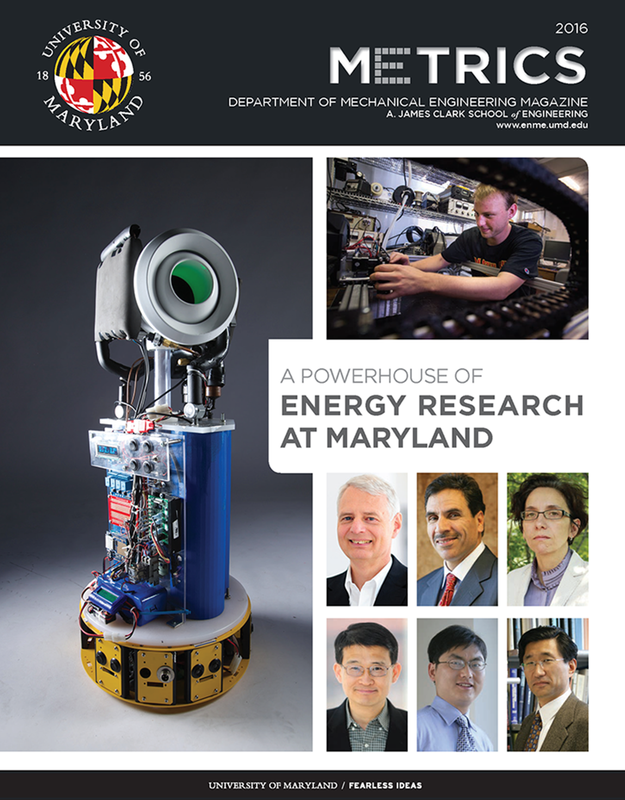 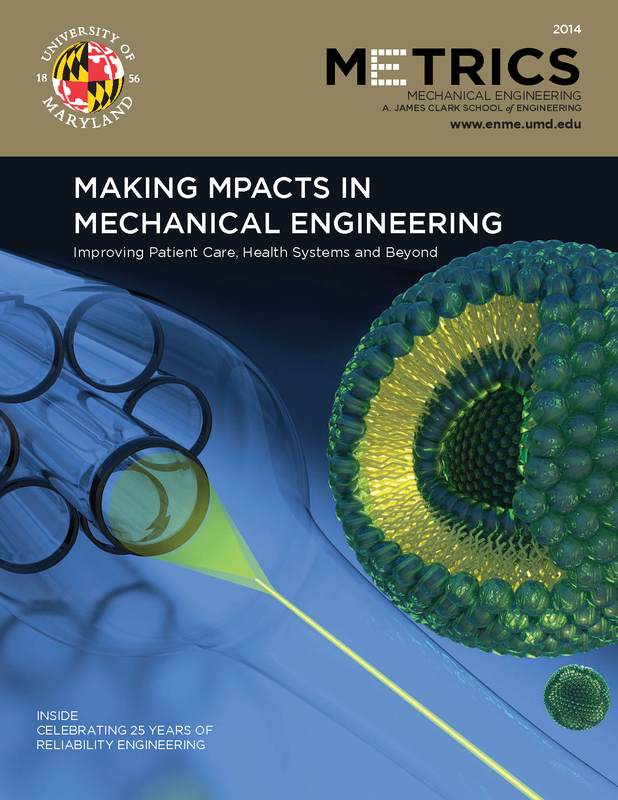 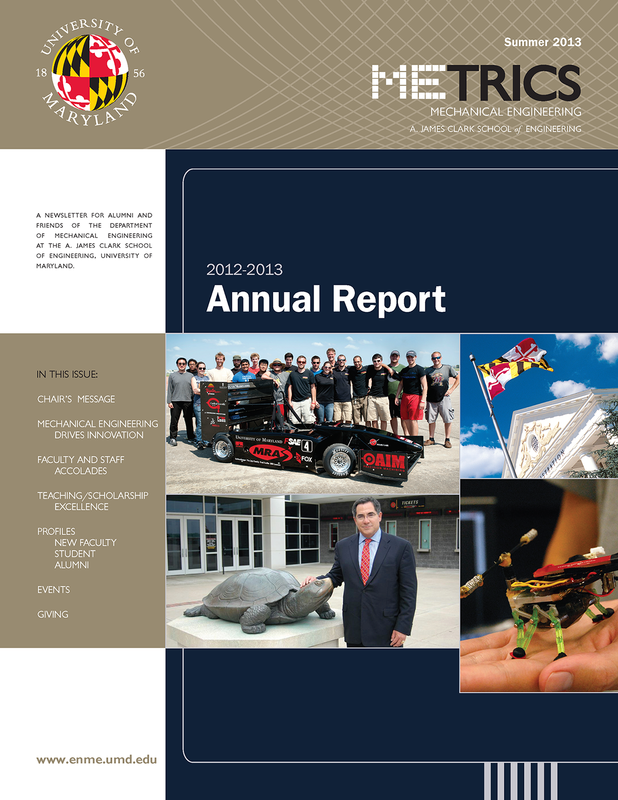 METRICS is published annually for alumni and friends of the Department of Mechanical Engineering. 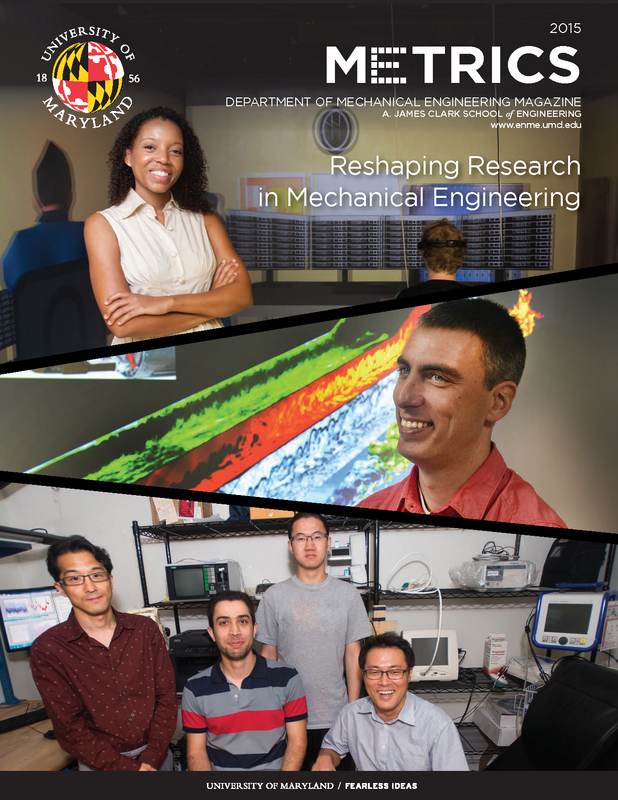 The department also publishes an e-Newsletter two to four times a year to share news and upcoming events from across the department. 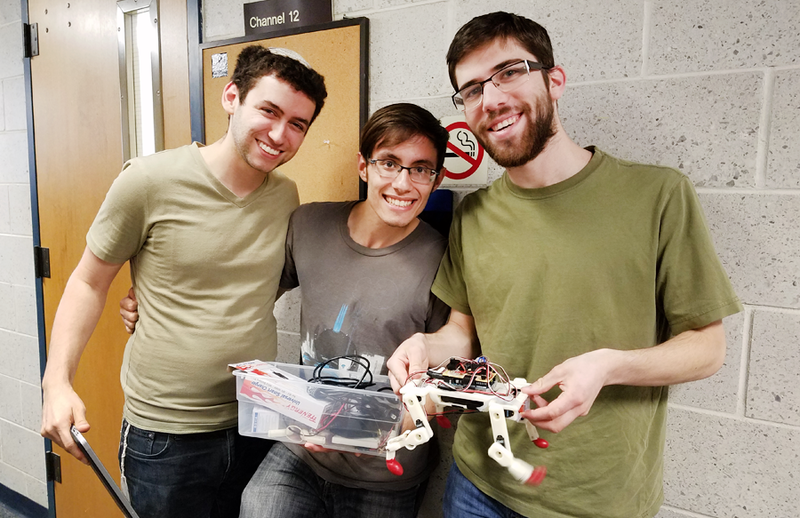 Undergraduate students Gedaliah Knizhnik, Noah Paul, and J.J. Rosenberg (l-r) showcase their capstone project in ENME489, Bio-Inspired Robotics.